Both Greater Yellowstone and Namibia are wrestling with issues of ecological sustainability in the face of population growth and climate change. The Greater Yellowstone Ecosystem is globally heralded as a benchmark for thinking about large landscape conservation. Often, parallels are drawn between Greater Yellowstone and sub-regions of southern Africa, along the belt of nations and tribal homelands stretching from the Indian Ocean to the Atlantic. The comparisons are many. For instance, long distance wildlife migrations involving elk, mule deer and pronghorn are touted as akin, though smaller in scale, to the vast movements of wildebeest, zebra and other megafauna across the Serengeti Plain. Greater Yellowstone’s full complement of major predators—bears, wolves, cougars and coyotes— has similarities to the assemblage of lions, cheetahs, leopards, hyenas and wild dogs. Eco-tourism here and there is a common engine for commerce. As in the American West, small rural communities, though for different reasons, struggle to survive. A quarter century ago, two Namibia-based conservationists, Dr. Margaret Jacobsohn and Garth Owen-Smith, were recipients of the prestigious Goldman Prize, an honor considered the Nobel Prize for the Environment. The list of Goldman Prize laureates—click here to see it— is distinguished and 2019 marks the award’s 30thanniversary. On February 7, 2019 at the Museum of the Rockies in Bozeman, Mountain Journal, the San Francisco-based Goldman Environmental Foundation, and Hopa Mountain, which works to support indigenous voices in the West, is hosting a free public event featuring Jacobsohn and Owen-Smith. Joining them on stage for a lively and provocative discussion are Michael Sutton, executive director of the Goldman Environmental Foundation and Steven Fuller, the legendary Yellowstone winterkeeper and MoJo columnist who has known Jacobsohn and Owen-Smith for three decades. Fuller, who escapes to Africa on annual treks into the African bush, recently recounted how he met Owen-Smith and Jacobsohn on a trip to southwestern Africa in 1989. “Our conversations around the campfire that first trip quickly revealed common threads that ran through our lives though we were creatures of opposite hemispheres of the planet,” Fuller says. Owen-Smith, who also received the Prince William Award for Conservation in Africa in 2015 (see video clip at the bottom of this story), is credited by many with helping to reverse a crash of several wildlife populations in Namibia. Jacobsohn, meanwhile, has cultivated a close relationship with indigenous tribes, especially the Himba. 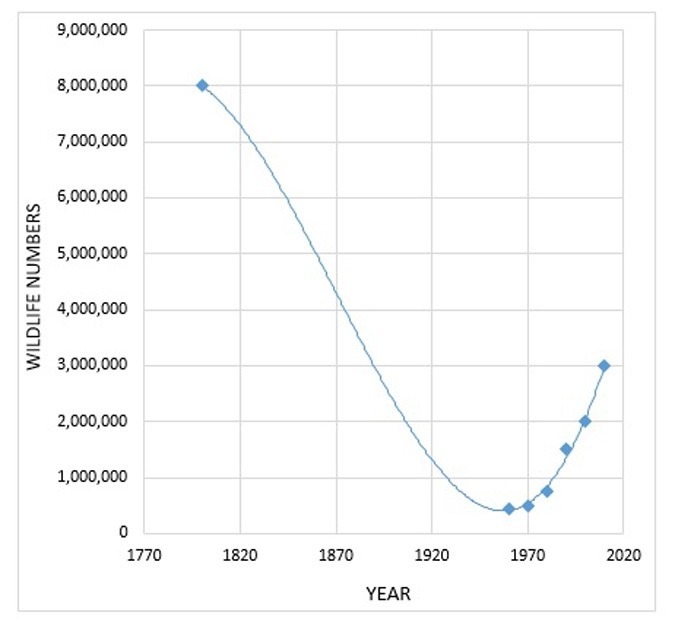 This graph shows the stunning decline of wildlife in Namibia over time and the rebound that has happened in the country with conservation focused on building local support, Owen-Smith says. Courtesy Africa Geographic magazine. Together with Owen-Smith and others, they pushed to have “ownership” of wildlife devolved from the federal government to local people, making them stakeholders in keeping imperiled animals such as lions, elephants, and rhinos alive. 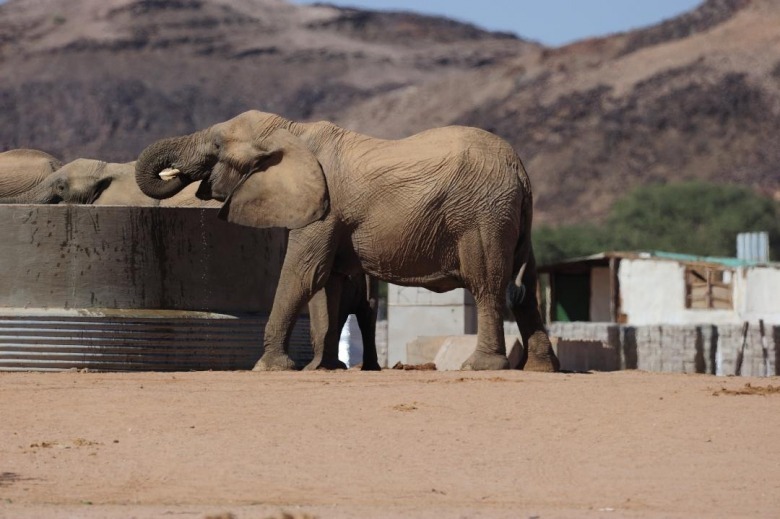 Namibia has both a growing non-consumptive tourism industry and a corresponding economy tied to attracting hunters from around the world. It is "right" or wrong? As Owen-Smith and Jacobsohn say, show them a better way and they'll embrace it, but lacking results self-righteousness and finger pointing falls short in the absence of results on the ground. Prior to taking over a leadership role at Goldman, Sutton worked for World Wildlife Fund, the Monterey Bay Aquarium, served on the California Fish and Wildlife Commission and, prior to all that, served as a law enforcement specialist with the U.S. Fish and Wildlife Service going after animal poachers. Sutton says that for many decades, there’s been a perception of smugness and condescension with how policymakers and conservation professionals from rich countries engage those in the developing world. Time tested over millennia, Jacobsohn and Owen-Smith say insights from indigenous people cannot be ignored. Sutton, who is also a MoJo board member, noted how more than 200 different native tribes across the U.S. have rallied behind protections for Yellowstone-area grizzlies and they are bringing different perspectives to the table of conservation. Owen-Smith and Jacobsohn have never cowered from being confronted with tough, uncomfortable questions; they want to be part of an evening in Bozeman that forces people in the audience to think. And they would like nothing better than to have young people there, whether as students or in the company of their parents and grandparents. Mountain Journal recently interviewed Jacobsohn and Owen-Smith on a wide range of topics, including the emotionally-charged question of whether trophy hunting of African wildlife achieves the conservation outcomes claimed by U.S. hunting organizations. 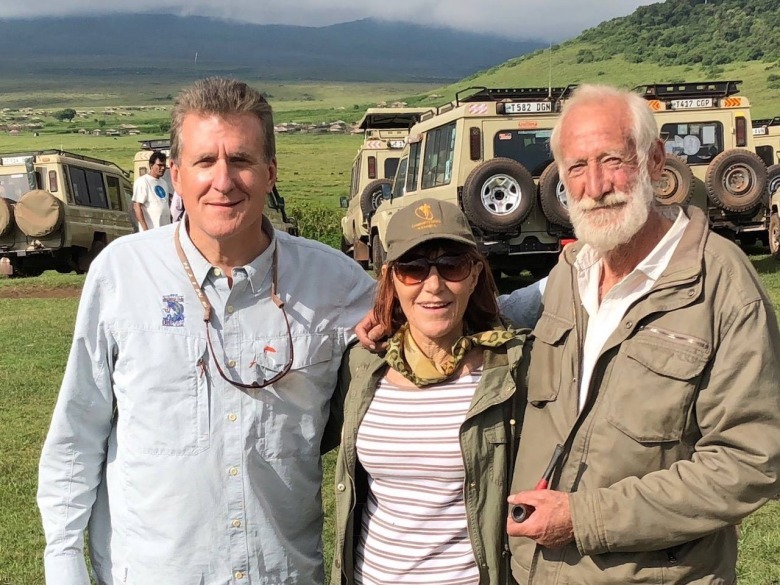 Mike Sutton, executive director of the Goldman Environmental Foundation, with Dr. Margaret Jacobsohn and Garth Owen-Smith in Africa. 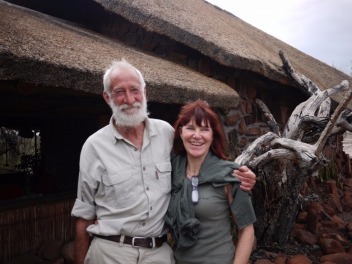 MOUNTAIN JOURNAL: Margie Jacobsohn, your groundbreaking work with the Himba has been recognized worldwide. When outside forces invade homelands of indigenous people, how is it possible for local culture and life to find ways to survive? 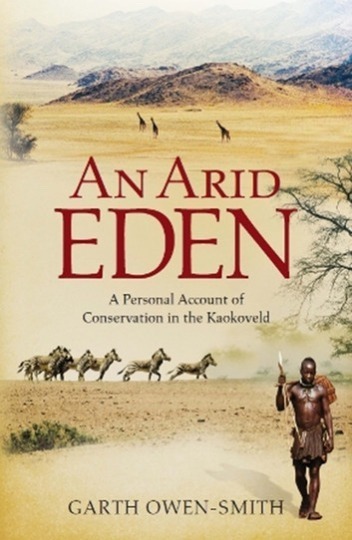 MARGARET JACOBSOHN: While I did my PhD research among Himba communities, our community-based conservation work has been more diverse, including rural Namibians who grow crops, fish, hunt and gather as well as herd domestic stock. Our NGO - IRDNC - speaks 11 of the 22 languages in use in Namibia. IRDNC has partnership with communities in neighboring Angola and Zambia. MOJO: Are there things that work better than others when trying to conserve wildlife and meet daily needs of people? JACOBSOHN: The key factor for indigenous people, or any people for that matter, is to retain as much power as possible over one's own future and to be able to steer one's own development. Community-based conservation assists people to do this, giving them control over their natural resources (conservancies for wildlife; community forests and flora; community fish reserves) while at the same time diversifying the local economy. So there are local ways to earn income and local jobs are created, instead of people needing to go to big towns to join the jobless masses in squatter camps as happens in all African countries. MOJO: When you consider what you know about the country known as Namibia, what thoughts come to mind when you think about what happened with 500 years of European colonization here in the Western Hemisphere? JACOBSOHN: Regarding 500 years of European colonization , Garth and I both say what a pity the colonists were not socially developed enough to leave European myths in Europe—along with European ways of wildlife conservation and temperate ecosystem management—and to respect and listen to the local communities they encountered. Such people had been living in and managing tropical savannah for thousands of years. We will be giving a case study about indigenous management of fire on two continents when we do our Bozeman address - how indigenous people do this far better than is generally done today by so-called modern people. MOJO: We hear a lot on this side of the Atlantic about the poaching pandemic affecting rhinos and elephants. Decades ago you and Margaret confronted it in the northwest of Namibia. How would you describe the problem then? How did you tackle it? And how can the insights you've pioneered be more broadly applied? GARTH OWEN-SMITH: There is not a huge difference. Back then we faced serious poaching by ordinary local men, by government officials and the military. Today there are criminal gangs and big dealers but in our huge rhino and elephant ranges local knowledge is still needed to find the animals. If a majority of local people do not support illegal hunting the poachers cannot operate with impunity. So now, just as 30 years ago, communities hold the key. In Bozeman, we will be discussing how we—a team made up of local communities, traditional leaders, NGOs and government —have been able to stop (knock on wood) rhino poaching in the north-west of Namibia in the past few years. Yes, community-based action can be applied in many contexts. There is no holy grail that can be rolled out but there are common principles that will work whether your community is a group of suburban householders or remote rural dwellers. 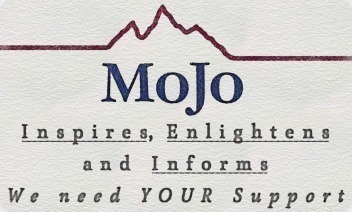 MOJO: The two of you shared in winning the prestigious Goldman Prize in 1993. It is awarded to individuals who demonstrate vision and often heroism in their conservation work. Has your focus changed over the last quarter century and do you think about conservation differently today? JACOBSOHN: Our focus has not changed. We received that award for our work to link conservation to social, cultural and economic development of people who live with or near wildlife. We have adjusted methods and approaches obviously but even then we knew that real community conservation requires that solutions are developed locally by those who can impact on the resource. Biggest changes: political party politics, human population growth, African aspirations to match western consumerism, greed and social media conservationists who - unwittingly - often do more harm than good. MOJO: Who inspired (inspires) you? And what would you like to say about the important (and often unsung) role that women play in holding communities together against all manner of disruptive forces, including poaching? OWEN-SMITH: I was inspired by early conservationists who had the humility and insight to recognize that working with local communities was— and is—the only way to ensure the future of wildlife. JACOBSOHN: Rural women continue to inspire me and make the hard work worthwhile. May I quote Tjavarekua Tjijahura, of Ehirovipuka Conservancy, chair of a local Namibian Women for Conservation group: “Women should attend their conservancy meetings and become its wings. After all, wildlife hold the future of our children, creating local jobs and income through tourism opportunities." We neglect women at our peril as it is often women who encourage illegal hunting as they need meat to feed families and need money for family expenses. However, in my experience, women also quickly grasp the opportunities that wildlife provides for the future. MOJO: Eco-tourism is a buzzword. While economic benefits are easy to tout, less discussed are the industrial-strength impacts. 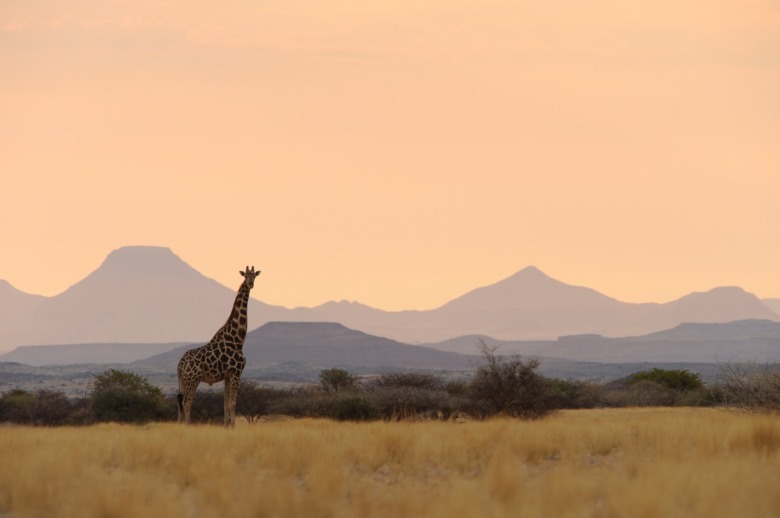 Southern Africa has long been a destination for global travelers; today, wildlife-watching, e.g. American versions of non-consumptive wildlife safaris, is rapidly growing as an economic driver. 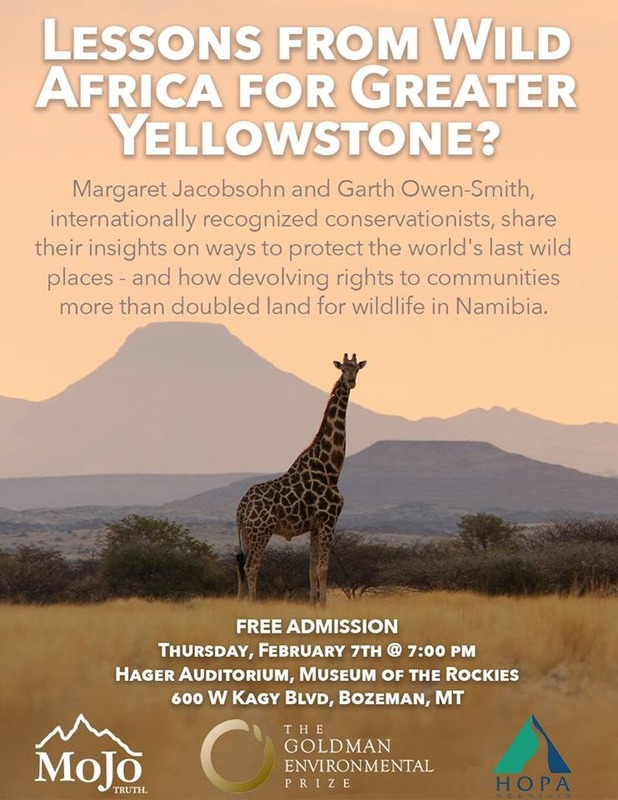 What should Greater Yellowstone be aware of as you reflect on what's happened in Africa? JACOBSOHN: Africa faces massive threats from mining etc and only if the majority of ordinary Africans have good reasons to care about wild animals will wild habitats be protected. Politicians don't lead— they follow so we start at the grass roots: we need to get a majority behind conservation. Wild places may well be one of the most valuable commodities left on this planet: Every single group from US or Europe that we have ever taken out on a safari is seeking this. If tourism isn't planned or if money is the bottom line, we destroy the experience - we think you guys may have a lot to teach us - about eating the golden goose instead of enjoying its golden eggs for generations to come. MOJO: Let’s talk about climate change. In America, there are political and private business forces that attack the science and use it as a tool to foment denial. What are you seeing in terms of climate change in Namibia and how do you see it transforming the way that one thinks of sustainable human communities and protecting wildlife? OWEN-SMITH: Our government does not deny climate change and takes this threat seriously. But in Africa we face many other more immediate environmental and social problems that we could do something about—rangeland destruction, bush encroachment, river catchment degradation, the need for family planning, corruption, economies that can never absorb the number of job-seekers we have etc. So we need to take care that we do not simply focus on climate change and become become paralysed instead of tackling our challenges. Africa is not causing the problem. The US and other big developed countries are the major contributors to climate change. MOJO: A moral question: If a community, say, consciously chooses to embrace an economic development model that results in the elimination of wildlife (rare species) and the destruction of their habitat, is there a moral responsibility for the rest of the world "to intervene"? I ask this because it is not a question, as you well know, that exists in Africa but every day in America, with the persistence of species and ecosystems on the line, the gist of that is happening here. A moral question: If a community, say, consciously chooses to embrace an economic development model that results in the elimination of wildlife (rare species) and the destruction of their habitat, is there a moral responsibility for the rest of the world "to intervene"? OWEN-SMITH: Yes there is a need to intervene but then also to offer realistic economic alternatives which is what community-based conservation is trying to do. Maybe also Africa needs to intervene on behalf of earth, to take on the West and the developing East. whose greed and excessive consumption has led to the problems the entire planet now faces. 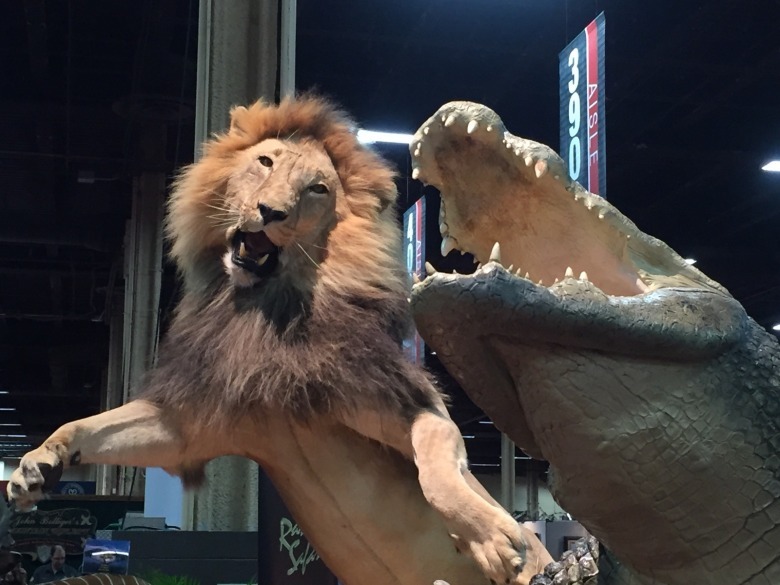 A stuffed mountain lion and Nile crocodile, the work of a skilled taxidermist, were on display at a recent convention of Safari Club International. Trophy hunting is a contentious topic globally and there is a heated debate over whether wildlife needs to be commercially killed to advance its conservation. MOJO: The controversy surrounding whether Greater Yellowstone grizzly bears should be hunted for sport and trophies is as contentious as any modern wildlife issue in America. Prominent people, including Jane Goodall who has spent a lot of time in Africa, are opposed. It has been said by hunting organizations in America that if it were not for trophy hunting in Africa, game populations would disappear. What are your thoughts? OWEN-SMITH: Without trophy hunting there would be no wildlife. But Trophy hunting is just one of several different ways to put a financial value on wildlife in areas where photo-tourism is insufficient to make a difference. Tourism needs to generate income for people who live with or near wildlife, and importantly, to cover the costs of living with wild animals. What wild animals need most of all is land. In some instances in several parts of Africa trophy hunting is all that prevents wild habitat from being used for farming or mining. So yes, at this stage we need trophy hunting. Wildlife has to be valuable to rural people not just financially but also socially and culturally. [Note: Owen-Smith does not want his answer here to be equated with any tacit endorsement of sport-hunting Greater Yellowstone grizzlies. With non-consumptive wildlife viewing of bruins and wolves in Yellowstone and Grand Teton national parks contributing mightily to the estimated $1 billion annually in nature-tourism revenue for the region, he believes our ecosystem is leading the way in showing that those species are worth more alive than dead. The challenge is making the case in more outlying Greater Yellowstone communities where those predators are regarded as liabilities]. MOJO: If you could go back in time and alter the way things have played out over the last century in Namibia and southern Africa, what would you change, knowing what you do now? JACOBSOHN: I believe if we had uplifted women—socially, economically and politically —across the world, including Africa, we would not be facing the human population crisis that is overwhelming our planet. As has been proved many times the best way to reach what Carl Sagan called the demographic transition— the flattening out of a population’s exponential growth— is to get rid of grinding poverty. Helping other countries become self-sufficient is thus not only elementary human decency but is also in the interests of richer nations. Decades ago, Sagan and others documented that the other most important factor to reduce birth rates is uplifting women. And, importantly, extending political power to them, as well as making safe and effective birth control methods widely available. MOJO: Okay, last question. As a teaser for those who will be attending your public event in Bozeman, share with us a few of the other things you intend to bring up. JACOBSOHN AND OWEN-SMITH: 1. Lessons from indigenous wildfire management. 2. That technology won’t protect our wild places and our wildlife—only community action can. 3. And that, based upon what we’ve observed, social media conservationists may be doing more damage than good. PLEASE SUPPORT US: Mountain Journal is committed to giving you reads you won't get anywhere else, stories that take time to produce. In turn, we rely on your generosity and can't survive without you! Please click here to support a watchdog devoted to protecting the wild country and wildlife you love.